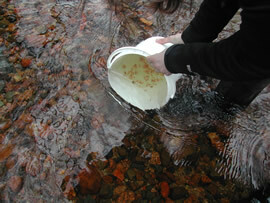 The Trust undertakes a wide variety of work to fulfil its remit to protect native wild fish. An overview of this work is provided below. Greater detail on individual projects can be found in our annual report, which all members receive free of charge. If you have any queries about our work or require further details please get in touch.